Warrington Township’s leaf and yard waste recycling drop off site is located at 3430 Pickertown Road. This site is also the entrance to the Township’s Tradesville Sewage Treatment Plant. The site is open the first seven (7) days of every month from dawn to dusk. The remaining days of the month, residence can take their yard waste to Warwick Grinders located at 2616 Rushland Road Jamison, free of charge. The Tradesville site is for Township residence only. Commercial Companies engaged in the business or practice of landscaping or yard maintenance are not to deposit any material at the recycling drop off site. Please note we do NOT accept: Trash, stumps, grass clippings, pressure treated woods, Painted lumber, Fences, railroad ties, telephone poles, bamboo, cinder blocks, rocks, dirt, metals of any kind or concrete. 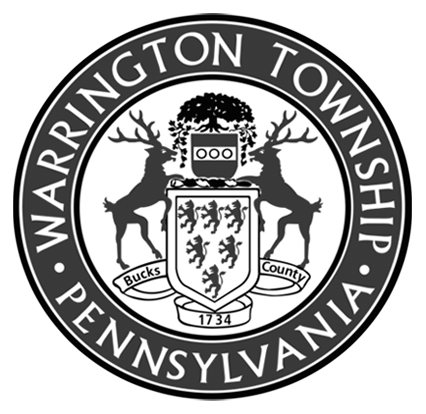 WARRINGTON TOWNSHIP RESIDENTS: When dropping off at Warwick Grinders proof of residency may be required. From Street and Lower State Road, make a left onto Pickertown Road, stay straight and cross over the bridge. At the top of the hill make a left and follow thru the parking lot.